Call an experienced San Jose, CA clogged toilet repair professional from Genmor Plumbing at (408) 933-9874 today for your free estimate and urgent care. Find out what current coupons and specials we have available by clicking here. Explore what other San Jose, CA clients have experienced in working with Genmor Plumbing for their clogged toilet repairs. Why Is My Toilet Clogging? There can be any number of reasons for a toilet to clog. You may find yourself with a particular toilet that seems to clog often. Getting help from a licensed and experienced bathroom plumbing expert at Genmor Plumbing might be your best choice in solving that problem for good. When a toilet clogs and often requires plunging, there may be something stuck in the trap of the toilet or somewhere in the drain. These issues require professional help. It is also possible that the problem is even further into the sewer, which is an even bigger issue requiring expert attention. If your toilet is very old, then it may indeed be time to retire it and invest in installing a new one. An old toilet may be causing you trouble but it is also likely a drain on your pocketbook. Toilets manufactured prior to 1994 are far less efficient and use 3.5 gallons of water per flush. New toilets use roughly half of that amount of water. By replacing your toilet with a new one, it will likely pay for itself quickly in what you will be saving on your water bill. If you are getting a little too used to having to plunge your toilet, it is time to hire a professional. The last thing you want or need is to decide that you might be able to fix the issue yourself and then find that the problem goes far deeper than you anticipated. At this point, you need to hire someone you can rely on to get your toilet clog fixed or help you make the decision to replace it, should that be necessary. Your trusted and fully licensed Genmor Plumbing specialist is available to help you now. 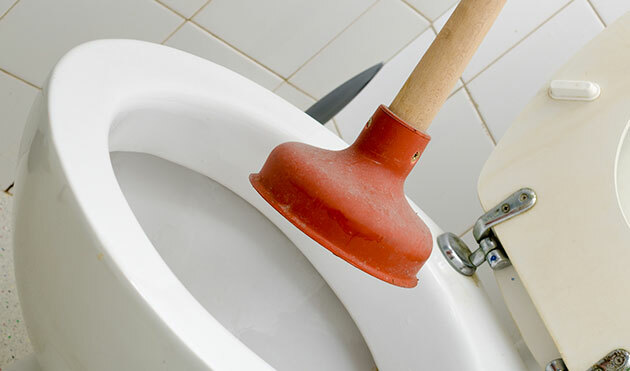 Call and inquire about our thorough clogged toilet services today at (408) 933-9874. Find out how you could be saving money with more efficient bathroom fixtures. We will providing you with a free estimate and our Genmor Plumbing 100% satisfaction guarantee.